The brownies arrive wrapped in a single layer in a small box. 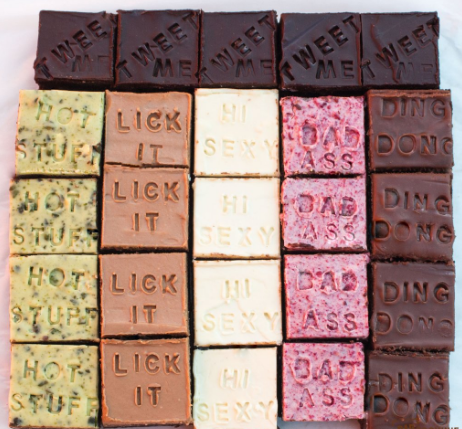 How do you like your brownies? Do you prefer a fudge-like, dense texture, or a lighter, cakey consistency? Then there’s the world of flavours, fillings and toppings to navigate: fruit, nuts, chocolate chips and sauces to name but a few. As a self-confessed dessertaholic, I’ve tasted a fair few brownies in my time. 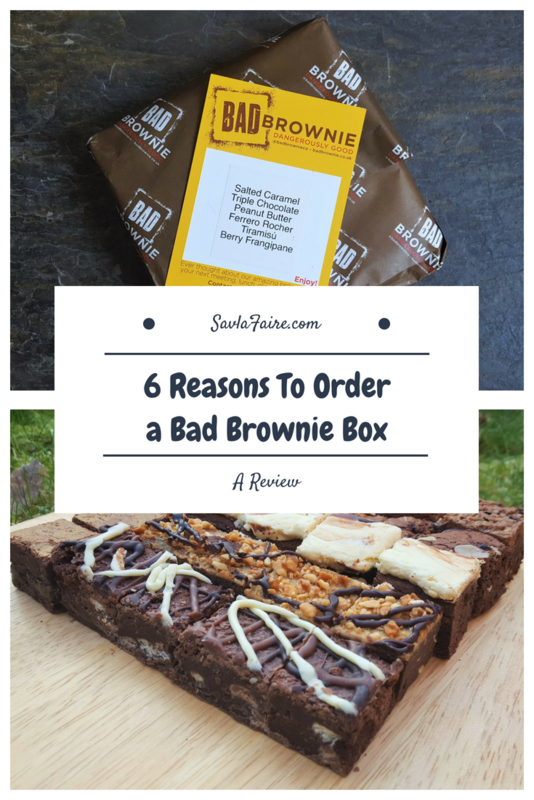 My list has been whittled down to two London-based suppliers whose gooey, chocolate-heavy brownies captured my purist heart from the first bite. Would there be room for a third, especially one known for its “bad” flavours? 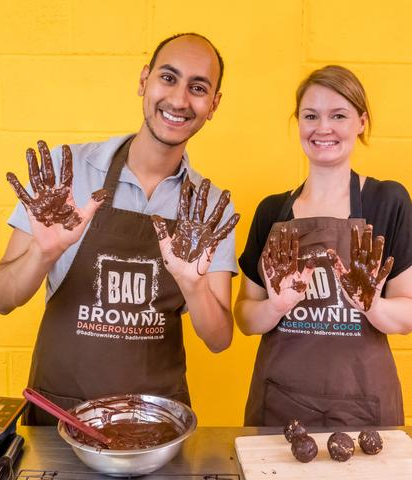 Founded by Paz and Morag, Bad Brownie started life in a small flat in Richmond in 2013. 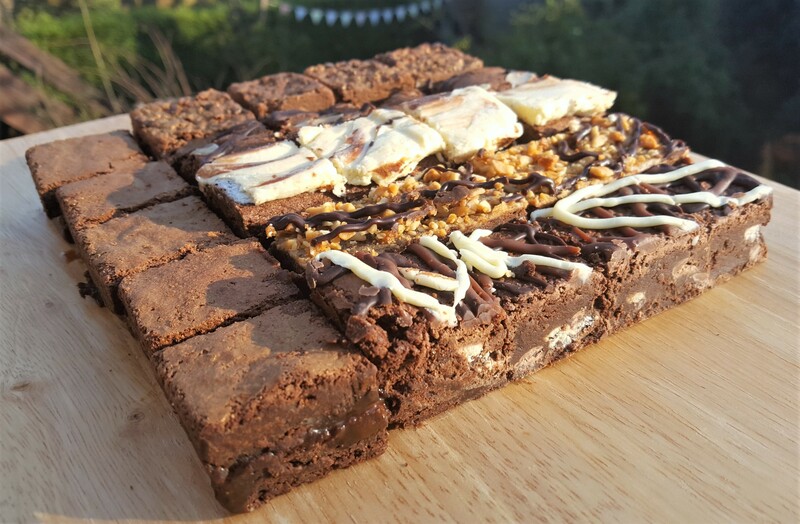 After unprecedented success at a South London food market, they expanded across the city in their mission to save Londoners from boring brownies. Two years later, they were invited to appear on Dragons’ Den. 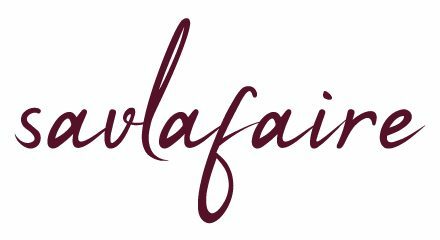 Fashion and retail expert Touker Suleyman spotted the brand’s potential, which has gone from strength to strength with his support. 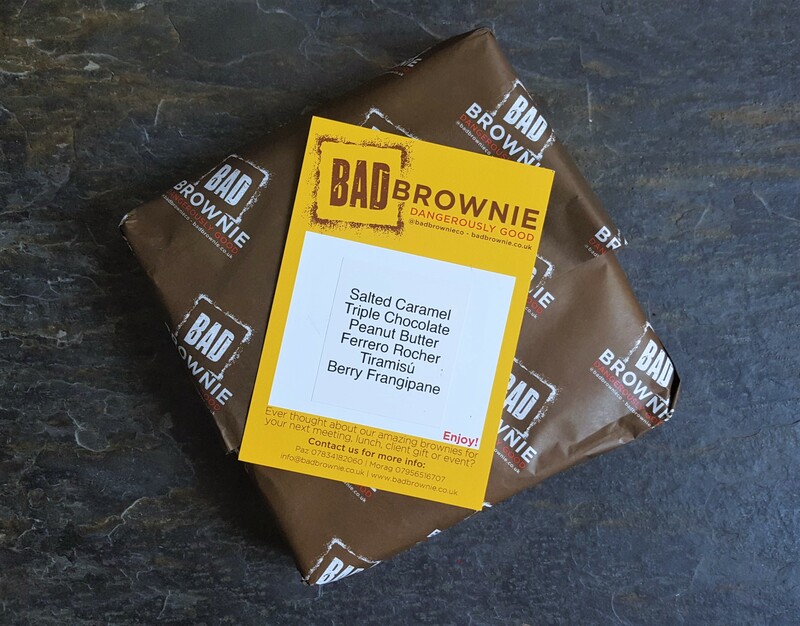 Fast forward to 2017 and you can find Bad Brownie in Selfridges Food Hall, on Amazon Fresh, Ubereats and Not on the High Street, as well as various food markets. Top down: Triple Chocolate, Peanut Butter, Tiramisu, Berry Frangipane, Ferrero Rocher and Salted Caramel. 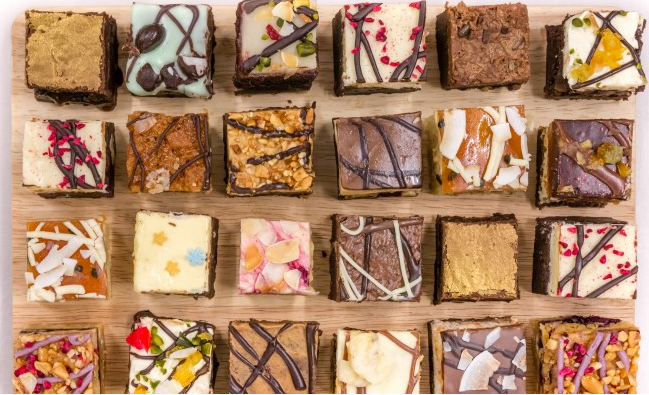 If you’re not already salivating at the mere mention of brownies, the contents of their monthly selection boxes will make you weak at the knees. Brace yourself: Salted Caramel, Triple Chocolate, Peanut Butter, Ferrero Rocher, Tiramisu and Berry Frangipane. Even before unwrapping this glorious package, I’d zoomed in on the salted caramel and peanut butter ones. The latter is one of my biggest weaknesses; I can’t have a jar at home as it’ll disappear within a day or two. But would I like it as much when smothered over a brownie? Salted Caramel and Triple Chocolate brownies in the foreground. Salted Caramel: With the sticky, golden filling slowly dripping down on all sides, this is by far the messiest brownie. It’s also the most decadent: the intense chocolate hits you first, then you get the sweet, toffee tones of the caramel. It’s basically a brownie sandwich, and I loved it. Triple Chocolate: This dark chocolate brownie with milk and white chocolate chips, topped with melted chocolate, is pure indulgence. Not usually a fan of triple chocolate combinations, I was pleasantly surprised by the rich flavours, although I’d prefer them without the final molten layer. Peanut Butter: The fudgy brownie brings together smooth and crunchy peanut butter and crowns the winning concoction with peanut brittle. I had high hopes and wasn’t disappointed. Having contrasting textures and mixing sweet with savoury makes it a more enjoyable experience. Ferrero Rocher: This hazelnut brownie includes praline, crunchy wafer and caramelised hazelnuts is more delicate than its decadent counterparts. I liked biting into the crispy topping, which gives way to a milder chocolate taste with the slightest hint of hazelnut coming through at the end. Tiramisu: A coffee-flavoured brownie slathered with marbled Marsala buttercream sounds heavenly, and is the most attractive option in the box. The squidgy texture of the brownie is nicely paired with the smooth buttercream, but the flavour slightly overpowers the chocolate in my view. Berry Frangipane: A fruity brownie/frangipane with raspberries, blueberries and cherries decorated with almond flakes and dark chocolate ganache. A bit of a curveball, but the risk pays off, as the sweetness of the fruit and nuttiness of the almonds creates a more rounded flavour profile. It was fun to experiment with different flavours and textures, and I’m keen to try more now, especially Bad Kat (Kit Kat) and Nutty Orange. I still prefer my brownies to resemble chocolate butter in terms of taste, consistency and appearance, but it’s refreshing to branch out every now and again. 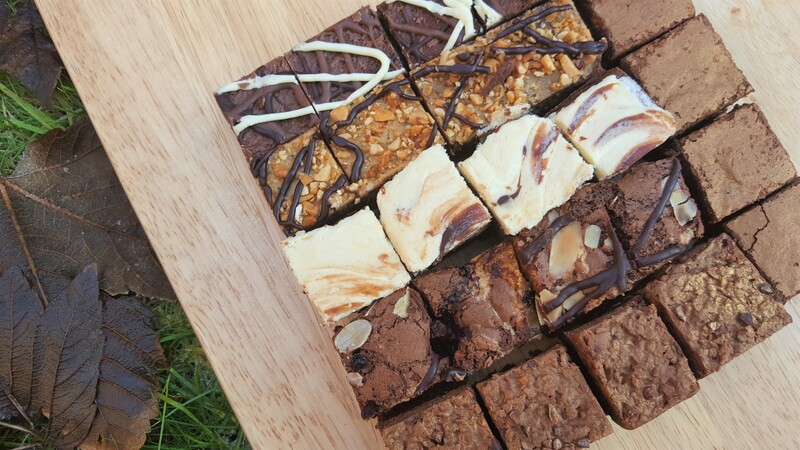 Check out the Bad Brownie website below for more information on their flavours, when and where you can find their stalls and private catering. They’re a considerate team who know you’re busy, so you can also buy brownies online. 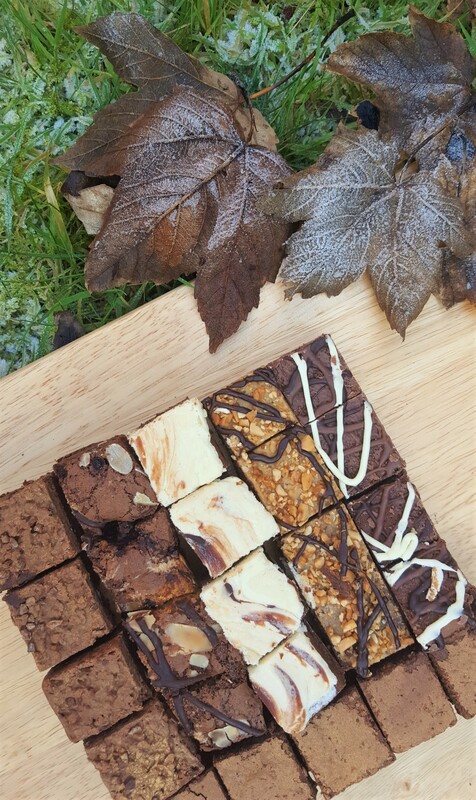 All you need to do now is choose between selection boxes, chef’s surprise, classic, boozy, nut-free… Not as easy as it looks! Time Out Selection Box (16 brownies). Credit: Time Out London. To help you out, they’ve joined forces with Time Out to offer a 25% discount on the 16-bite box, which is now only £13.50. The offer ends on 10th February, so don’t wait around! While you’re in a generous mood, you might as well have a gander at the Valentine’s Day specials, such as giant salted caramel hearts and an X-Rated box (links below)! Disclaimer: My selection box was complimentary, but all views and photos are my own (unless otherwise stated) and remain the property of www.savlafaire.com. Must’ve been tough doing all this research, Seetal.. () #looksscrummy #brownieenvy #minesinthepost? You mentioned your ‘two favourite London-based suppliers’ Which are they?